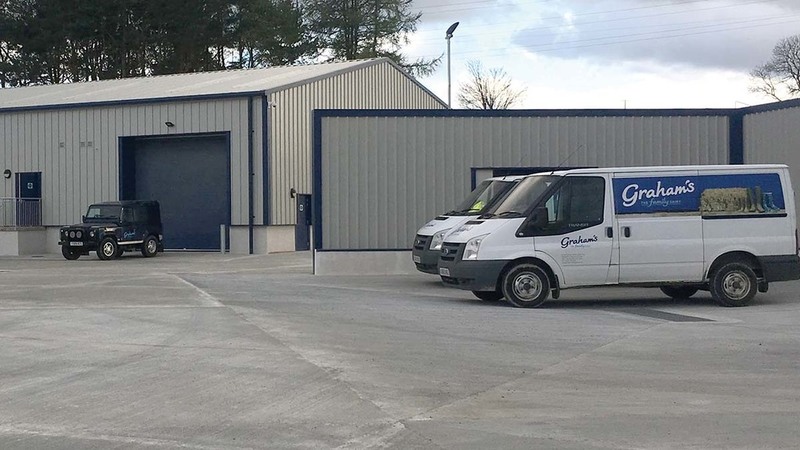 Graham’s the Family Dairy has opened a new £1.5m logistics facility in Aberdeenshire in a ‘significant investment in the North East Eeconomy’. The dairy said the facility depot, at Midmill Business Park in Kintore, allowed them to deliver more locally-produced milk to increased numbers of local people and safeguarded 30 jobs. It was now ‘fully operational’ and included a large refrigerated warehouse, offices and workshop space. It follows Graham’s acquisition of milk and dairy production specialists, Mitchells in Aberdeenshire in 2014. Robert Graham, MD of Graham’s The Family Dairy, said Graham’s was committed to growing the Scottish dairy industry through processing and product development so Scotland was ‘better placed to deliver Scottish products for Scottish consumers and further afield’. “Strong local provenance across our product range is important to us and we are pleased to be supplying milk from our farmers in Moray and Aberdeenshire across the area via this new site,” he said. He added the dairy was supporting the Scottish First Minister’s drive for investing in innovation, research and development and career pathways and was waiting on approval for a new research and development facility in Stirling which would be the largest single investment in the sector in over 30 years. “As a third-generation Scottish family dairy business, it is clear to us that investment in processing capacity, new products, skills development and international exports will contribute enormously to building a resilient economy in these unprecedented and volatile times,” he said. He added the project would create 450 new jobs and 50 apprenticeships ‘enabling a step change in investment within the food and drink sector’.